For all skin types. Especially beneficial for dry, dull, rough and aging skin. Another super booster. A favourite with my spa customers this reveals the softest, most beautiful skin you’ve had in years – I LOVE this serum, and it smells amazing! Jasmine soothes and smells divine! This product is great! A little really goes a long way. I put it on patches that are healing or where I have larger dilated pores or dry skin. Really seems to speed up the healing and plump the skin! I absolutely love this product. I had never used an oil serum before, as I have very reactive skin that seems to dislike even the most all singing, all dancing, super organic skincare options out there. This serum, however, is absolutely fantastic and I can’t recommend it highly enough. I use it overnight and wake up with the dreamiest skin- even in color, well hydrated, plump and fresh. I love how simple the ingredients in it are- just five instead of an endless list of nasties and unknowns- and it has a lovely light fragrance that is soft and subtle. The oil also lasts for ages- I have just finished a bottle that I bought two months ago, despite using it daily, making it excellent value for money. I have very sensitive skin but have had no problems or reactions whilst using this product. Highly recommended! I love love this product , my skin looks bright ,tight and amazing I’m going buy this again.. I honestly wasn’t sure about using an oil serum as I’d always used traditional moisturizers in the past. It is now one of my favorite products. I don’t feel oily and it keeps my skin from drying out in our hard winters. My kids also love how I smell when I have it on. When I first purchased this product (have since ordered again) I wasn’t sure if it could help my skin because of bad acne when I was a teen and too many years of not using sunscreen. I am very happy with the results – my skin looks better than I thought it could. I definitely recommend this product. I love this product. It makes my skin look glorious. Love this serum. After only 3 weeks I can see the difference in my dry, delicate post-menopausal skin. A little goes a long way and the scent is light but gorgeous. I like this serum, I’ve only been using it for about a week, but it is light and absorbs quickly. The smell is nothing as described, Jasmine is my most favourite scent in the world and I smell nothing of it’s essence here. The scent is actually quite off-putting, I continue to get whiffs throughout the day and cringe at the smell. I chose this serum, not only for my skin type but for joy jasmine brings when I apply it on my skin. I’ll use what I have, but will not repeat purchase this item. 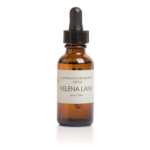 I love all of the Helena Lane products. My skin is soft and not at all dry, even in the cold Toronto weather. I like the fact I recognize the names of the ingredients and that they are organic. I do like the benefits and results of this serum yes…but I must be honest the scent is “off-putting”, I thought that the serum was bad because of the pungent smell, although I dislike the scent I still continue to use this product for the benefits….my skin has cleared up any acne and or scars and it’s taught and nourished. I will be changing the scent of this one, thank you for the feedback. 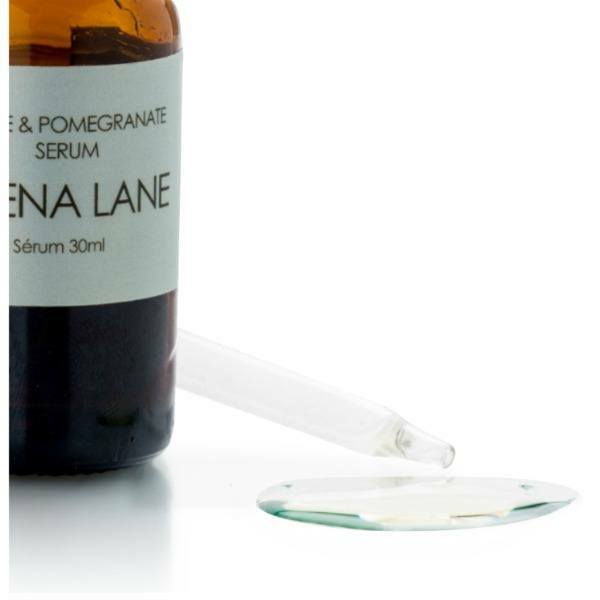 Before using the Helena Lane products I was applying my vitamin c serum and lactic acid in the morning everyday and at night I’d use ferulic acid but after some months, my skin was becoming pale and very scaly, which made my menopausal skin and rosacea look even worse. I started looking for Canadian organic skincare and came across Helena Lane products. The reviews definitely helped me make a decision of trying different products from Helena Lane and this serum was one of them. What a soothing and wonderfully made serum. When I use it at night after cleansing, my skin feels so soothed, my pores tighten up and and my face has a healthy glow without feeling greasy. I will definitely keep using this serum and will try others as well. Either: Saturate your face with flower water or water-serum, then warm a few drops of this serum between fingertips and press gently into face and neck. Or: Mix a few drops of this serum in your palm with a sprays of flower water or drops of water-serum, apply to your face and neck. Or: Apply by itself after cleansing to a damp face and neck. Best used at night after cleansing, but can also be used as a light summertime daytime moisturizer.